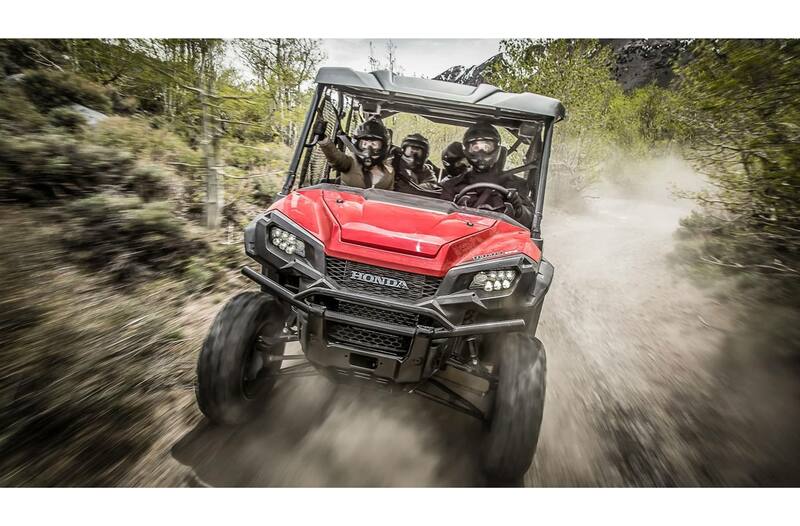 Powerful performance: The ultimate side-by-side needs plenty of power, so the Pioneer 1000-5 EPS DLX is built around a 999 cc fuel-injected twin-cylinder engine with Honda's famed four-valve Unicam cylinder head. 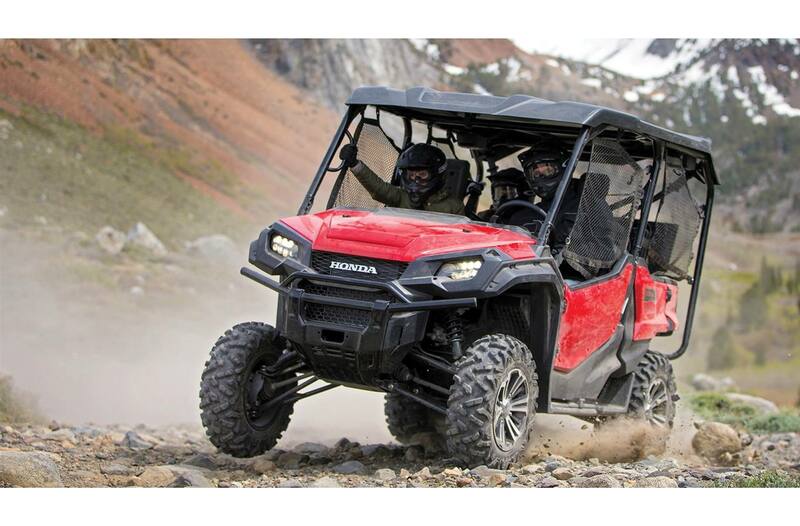 Smart transmission: Honda's fully automatic six-speed Dual-Clutch Transmission senses how you're riding, monitoring throttle input, engine rpm, vehicle speed and more. Going downhill? 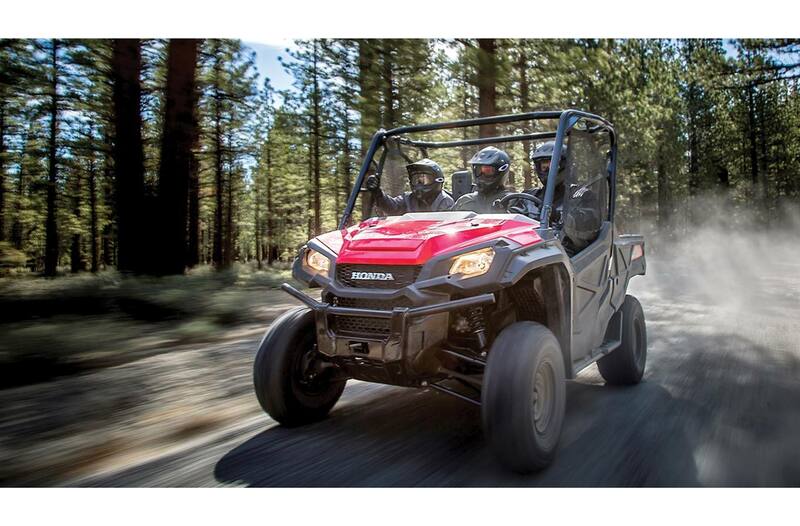 The Pioneer stays in a lower gear for superior engine braking. If you want to choose a specific gear, upshift or downshift yourself in demanding conditions or even override the automatic gear selection, the twin paddle-type shifters make it easy and fun. And of course, there are no belts to worry about. 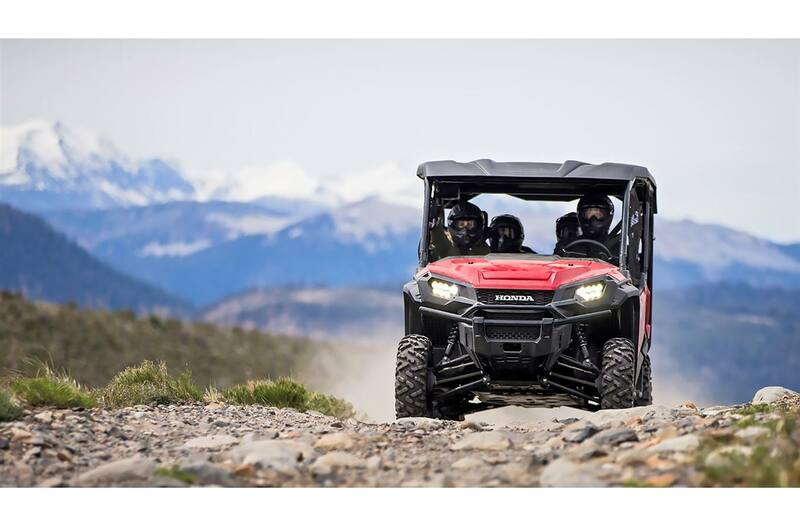 Clever controls: The Pioneer 1000-5 EPS DLX allows you to quickly and easily choose from 2WD, 4WD, 4WD with differentials locked for the toughest conditions, or Turf mode that's perfect for sensitive surfaces like grass fields or for easier steering. All via a dash-mounted lever. 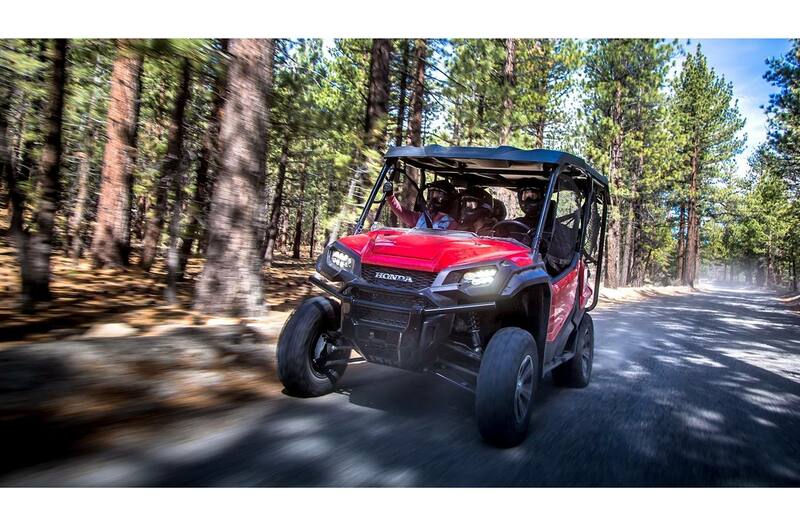 Reduced vibration: The rubber-mounted engine and exhaust system insulates you from annoying vibration, adding to the Pioneer 1000-5 EPS DLX's superb comfort. Comfortable ride: With 268 mm (10.5 in.) of travel from the front independent suspension and 254 mm (10 in.) 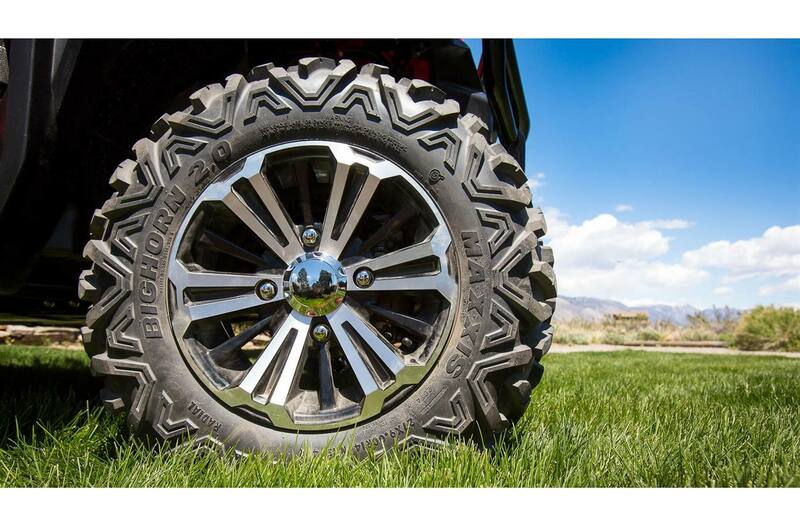 of travel from the rear independent suspension - with new dual-rated springs for 2017 - you're assured of a smooth, well-controlled ride with generous ground clearance. 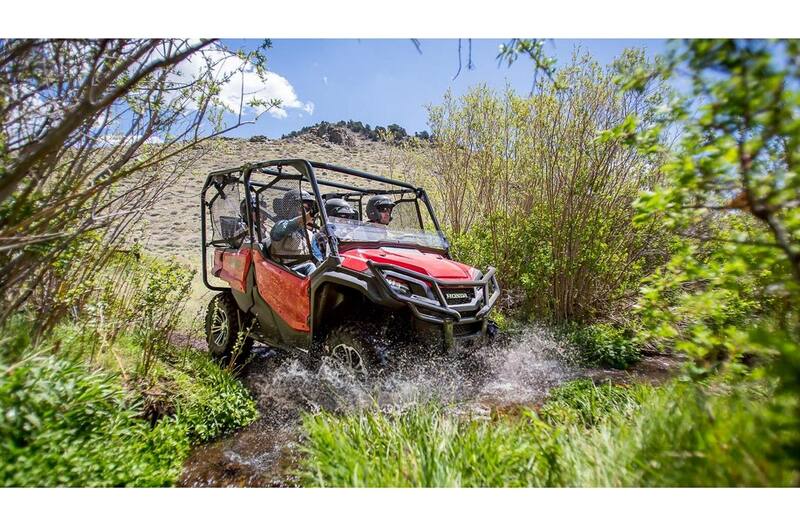 Improved handling: When you fill the two rear seats or put a bigger load in the Pioneer 1000-5 EPS DLX's bed, the rear suspension automatically senses the weight increase and adjusts the ride height to compensate. 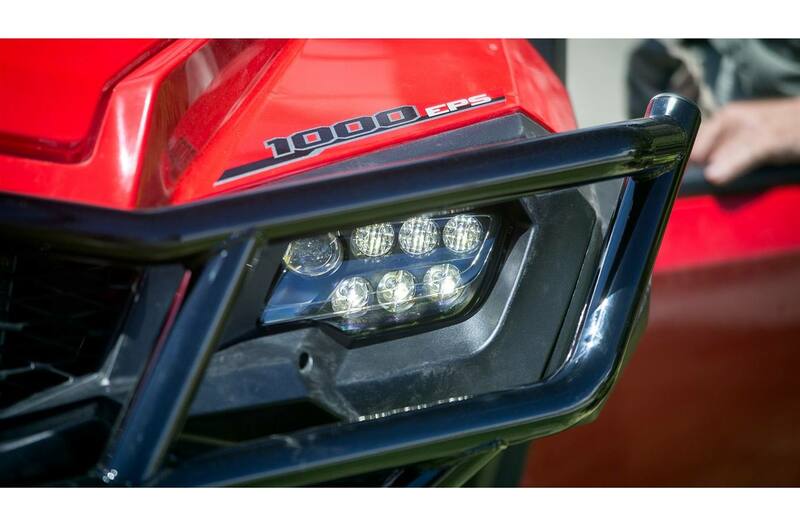 This maintains ground clearance and maximizes handling and comfort when loaded. 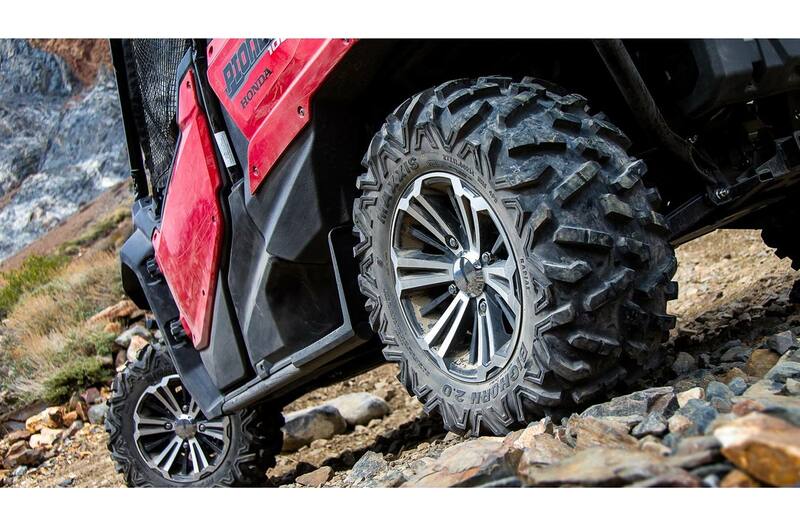 Excellent traction: The Pioneer 1000-5 DLX comes standard with large 27-inch radial tires on special 12-inch aluminum wheels for excellent ride comfort, improved ground clearance and superior traction. 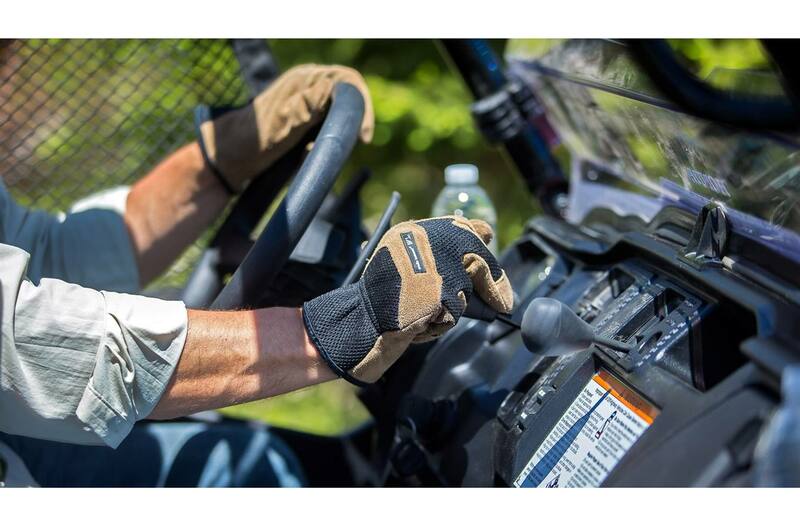 Versatile seating: The Pioneer 1000-5 EPS DLX gives you the ultimate in seating options. In addition to the comfortable three-passenger contoured bench seat up front, the bed incorporates a pair of seats that flip up or fold down independently in seconds. 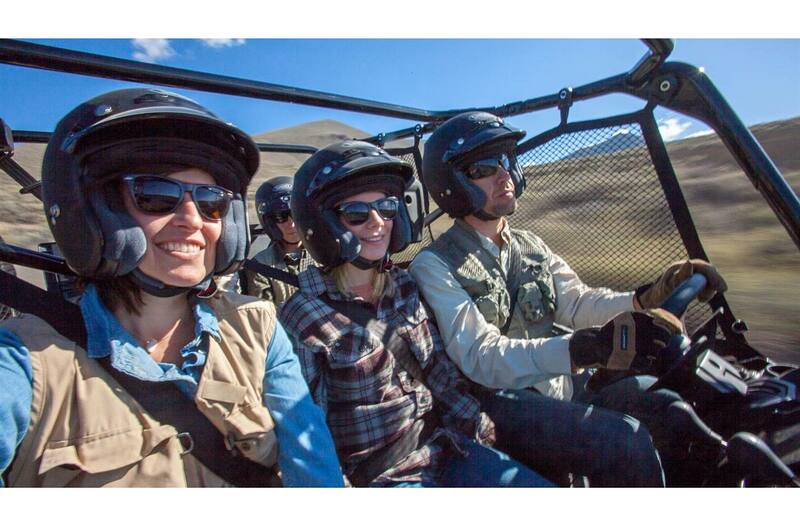 Up, they provide secure seating for one or two additional passengers; down, you get a flat cargo bed for utility use. With improved seat comfort for 2017. 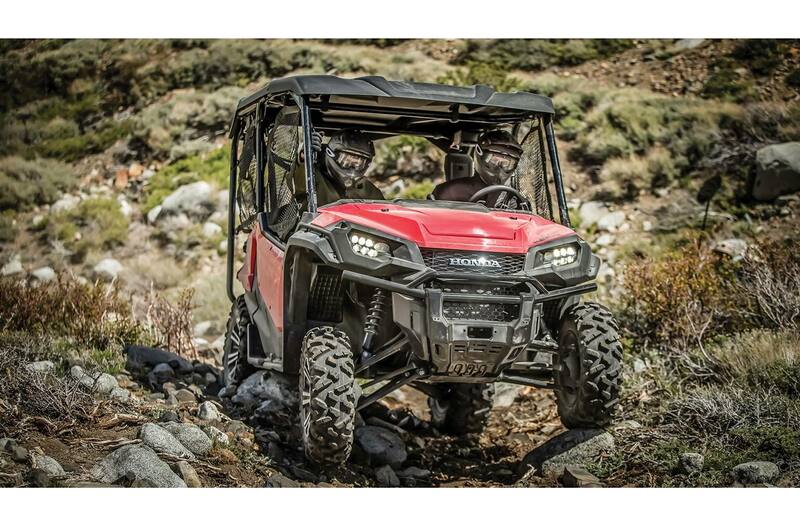 Powerful towing: You can load a full half-ton (1,000 lb) into the bed of the Pioneer 1000-5 EPS DLX. And when it's time to unload, the bed's hydraulic-assisted tilting feature makes dumping firewood, gravel, feed or other items easy. And because it's able to tow a full ton (907 kg/2,000 lb) - with an imporved hitch mount for 2017 - the Pioneer 1000-5 EPS DLX can take on big jobs that otherwise would require a tractor or a truck. 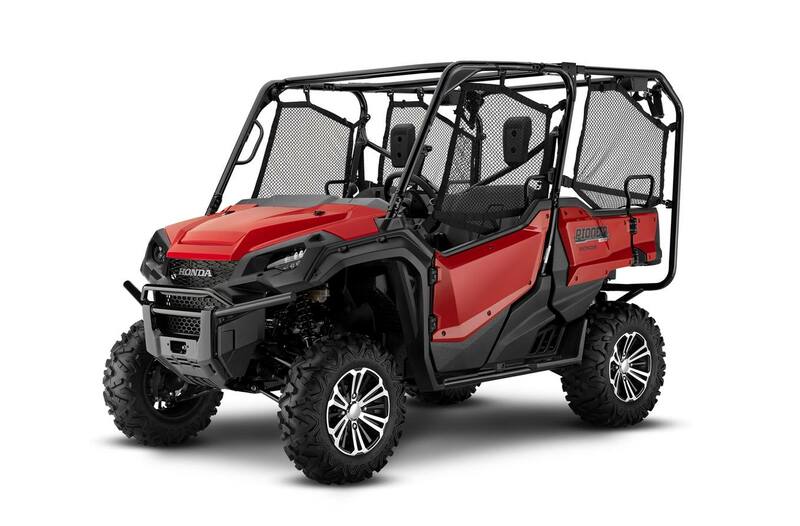 Intuitive display: The Pioneer 1000-5 EPS DLX features deluxe, multi-function LCD instrumentation that displays fuel level, engine speed (rpm), vehicle speed, tripmeter, odometer, a clock, gear position and much more. 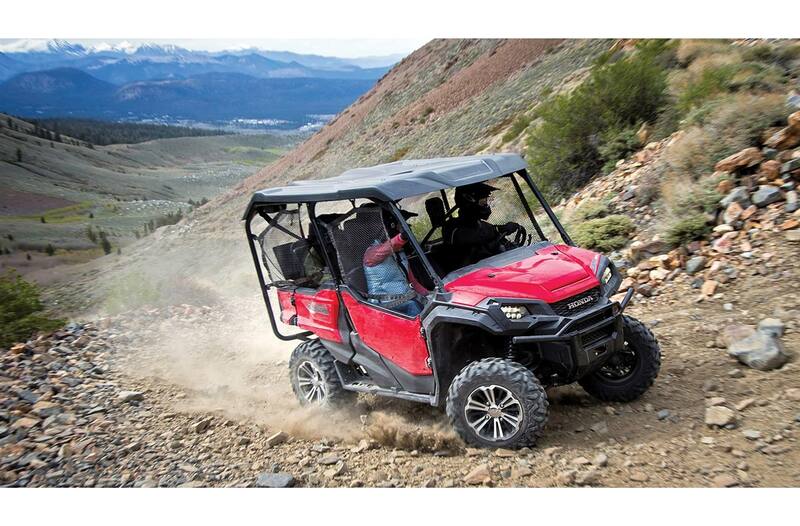 Adventurous style: Colour-matched doors and bed panels add to the Pioneer 1000-5 EPS DLX's striking good looks. 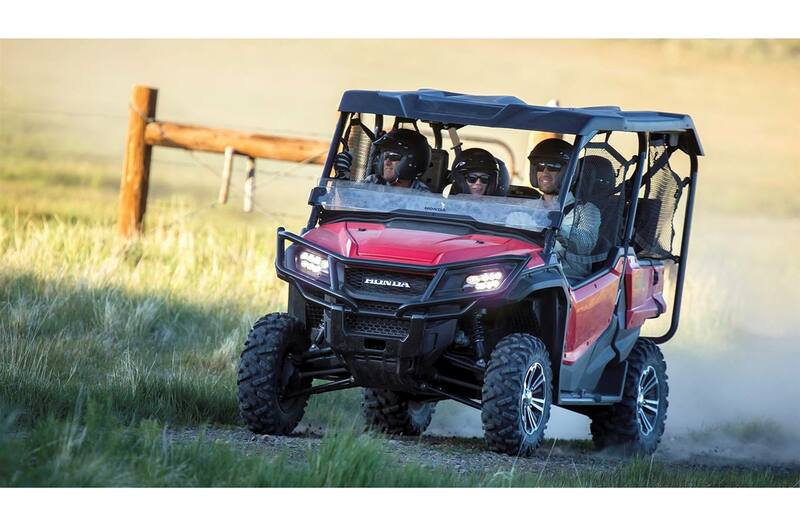 Easy add-ons: The Pioneer 1000 DLX is already pre-wired to make adding an optional winch a snap, and a host of other accessories allow you to fully tailor your Pioneer to your specific needs.